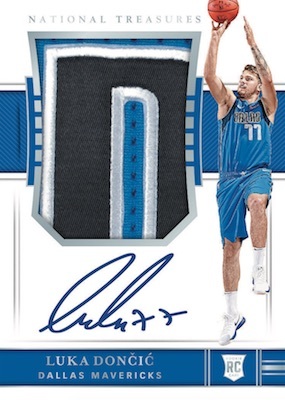 2018-19 Panini National Treasures Basketball looks into the background of top players, as well, including International Treasures for the global stars, and Hometown Heroes for the domestic standouts. 2017 18 National Treasures Giannis Antetokounmpo 2x GU Patch Auto #17 49 L@@K! TONY PARKER 2017-18 NATIONAL TREASURES "Platinum" AUTO 1 49 Brand New Stunning! 2017-18 National Treasures Bill Russell Autograph Card Gold #4 10 Celtics Nice! PARALLEL CARDS: Bronze #/39, Gold #/10, Emerald #/5, Platinum 1/1. PARALLEL CARDS: FOTL #/20, Gold #/10, Emerald #/5, Blue FOTL #/3, Logoman 1/1. PARALLEL CARDS: Bronze #/25 or #/15, Gold #/10, Emerald #/5, Platinum 1/1. PARALLEL CARDS: Prime #/25 or #/10 (Kuzma #/9*), Super Prime 1/1. PARALLEL CARDS: Prime #/25 or less (No Laettner*), Super Prime 1/1. PARALLEL CARDS: Bronze #/25 or #/15, Gold #/10, Emerald #/5, Platinum 1/1 (No Jerome Williams*). PARALLEL CARDS: Prime #/25 or #/10, Super Prime 1/1. PARALLEL CARDS: Prime #/25 or #/10 (No Harden*), Super Prime 1/1. PARALLEL CARDS: Prime #/25 or #/10 (Ariza #/3*), Super Prime 1/1 (No Doc Rivers*). 98 cards. Serial numbered 1/1. PARALLEL CARDS: Prime #/25 or #/10 (Bradley #/6*), Super Prime 1/1. 40 cards. Serial numbered #/5. 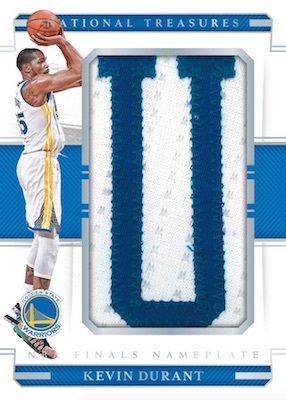 PARALLEL CARDS: Prime #/25 or less (No Harden*), Super Prime 1/1. View 2018-19 National Treasures Basketball checklist Excel spreadsheet. 2018-19 PANINI NATIONAL TREASURES FOTL BASKETBALL SEALED HOBBY BOX HOT PRODUCT! !